Trending at $110.87eBay determines this price through a machine learned model of the product's sale prices within the last 90 days. 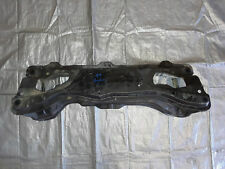 Fit Honda Prelude 1992-2001. Toe is crucial for the straight line stability and behavior of a car and is said to have more of an effect than the front toe. A little bit of toe-out in the rear will allow the car to turn easier which can reduce the tendency of initial understeer which most FWD cars are plagued with. • Universal, Fits all Cars. • One order includes two seats. • Installation Requires either Welding or Buying Specific Brackets for Your Models. V Band Clamp. • Made of High Quality Cloth Material. Series : Moog R-Series. Notes Location : Rear, Driver Side, Upper. Ball joint included : With ball joint(s). Pre-assembled with bushings and ball joint, and includes hardware (depending on application). Series : Moog R-Series. Notes Location : Rear, Passenger Side, Upper. Location : Right, Rear. Condition : New. Pre-assembled with bushings and ball joint, and includes hardware (depending on application). 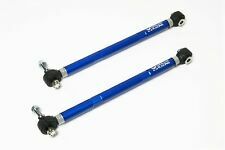 "Moog Tie Rod End --. Notes : 8.7 in. stud center to end; M14-1.5 rod thread; Female rod type; 0.54 in. Notes Location : Front Driver Side, Outer. Location : Left, Front. Condition : New. Therefore all implied warranties that may apply to your part are limited to the duration of this written warranty. Notes FWD, Location : Front, Driver Side, Lower. Location : Left, Front. Condition : New. Therefore all implied warranties that may apply to your part are limited to the duration of this written warranty. 2 Ball Joints. MOOG PROBLEM SOLVER BALL JOINT SET. "Moog Ball Joint --. Notes : Kit components - 2 Ball Joints; Includes hardware. Notes Location : Front, Driver and Passenger Side, Upper. 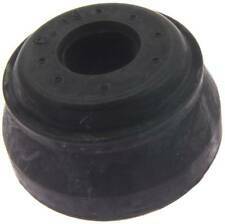 Engineered with larger housing for tighter ball joint fit. 2 Ball Joints. MOOG PROBLEM SOLVER BALL JOINT SET. "Moog Ball Joint --. Notes : Kit components - 2 Ball Joints. Notes Location : Front, Driver and Passenger Side, Lower. Engineered with larger housing for tighter ball joint fit. Notes FWD, Location : Front, Passenger Side, Lower. Location : Right, Front. Condition : New. General Warranty Limitations (Applies to all Product Warranties). The warranty is subject to the General Warranty Limitations below. Notes FWD, Location : Rear, Passenger Side, Upper. Location : Right, Rear. Condition : New. General Warranty Limitations (Applies to all Product Warranties). The warranty is subject to the General Warranty Limitations below. "Moog Tie Rod End --. Notes : 8.7 in. stud center to end; M14-1.5 rod thread; Female rod type; 0.54 in. Notes Location : Front Passenger Side, Outer. Location : Right, Front. Condition : New. Therefore all implied warranties that may apply to your part are limited to the duration of this written warranty.